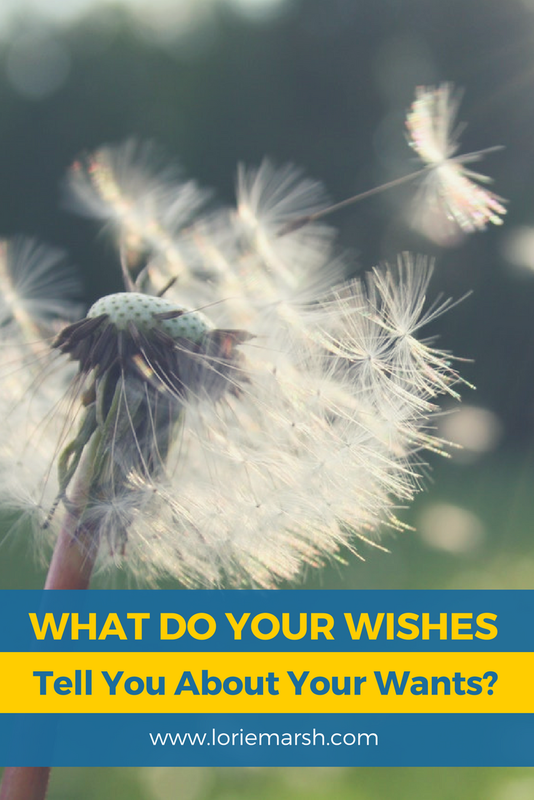 I've wondered: is a wish just a want that one presumes is out of reach? Example: I wish I had millions of dollars. I don’t presently have millions of dollars, and I don’t perceive how I might acquire millions immediately. In wishing this, it feels like the energy behind my wish boils down to resigned futility. Or, is a wish an invitation to dig deeper into a want? Why do I wish to have a million dollars? To do things without worrying about financial constraints: make art, decorate my home, donate to charities, support family, friends, causes. Want to make that movie? Don’t let money stop you. Want to build and maintain a no-kill animal shelter and outreach programs? Lack of money will not be in your way. Want to build that custom motorcycle? Here’s the dough. Do it. Want to set up a conservation easement for that parcel? This will cover the legal fees. Pursue it. I guess I equate a million dollars with no limits and no excuses. One can’t give in to fear of trying or fear of failure because money is not a factor either way. As I sit here, I realize I don’t need one million dollars to face MY fears and excuses (in fact, the group of us are pretty tight day in and day out). Wishing for limitless funds is my way of wishing to bypass my hangups. Ha! Does that mean that I secretly believe that growing beyond my hangups is ultimately out of reach? No, I don't accept that. Some of my internal conflict has been cyclical throughout my life, but I HAVE grown out of other hangups. I've come to see a wish as a signal of a feeling I want. The wish I described above conveys "limitless" to me. It made me realize I want to feel limitless in my creativity, to inspire others to tap into their own aspirations, and in connecting to others through stories and art. O ho! My wishes clue me in to a direction to explore. Next I'll identify and choose steps I want to take to explore that direction. Armed with this realization, I can choose to act on these wants and identify goals that bring me in alignment with those desired feelings. I shall express myself in multiple mediums. I shall inspire others to identify, value, and express their unique gifts. I shall foster connection among others through stories and art. And, if millions of dollars come with any of those, I’m cool with that.